When it comes to getting ready, we're here for anything that makes the process easier, which is why we have so many printed midi dresses at our disposal. 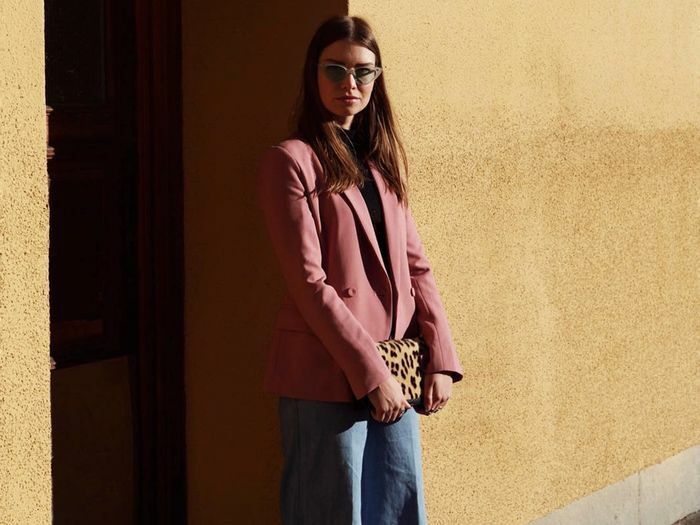 However, seeing as temperatures are rapidly declining and leaving the house with bare legs is practically akin to going out with wet hair in the chilly stakes, we find ourselves constantly reaching for another item in our wardrobes: trousers. 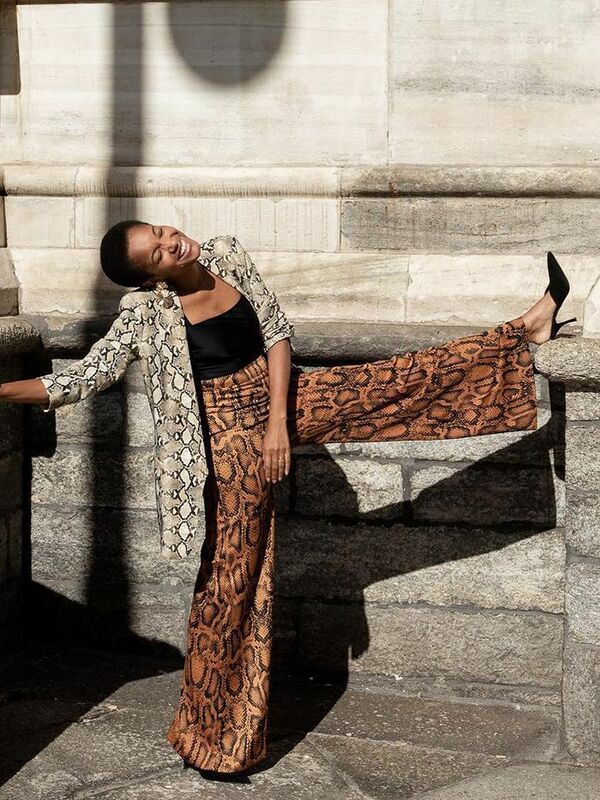 They may not be a new addition to our outfit arsenal, but there's no denying that trousers require more styling effort than anything else you're likely to wear. There are so many silhouettes to try, which is precisely the problem. What exactly are you supposed to wear with each pair? We're glad you asked. 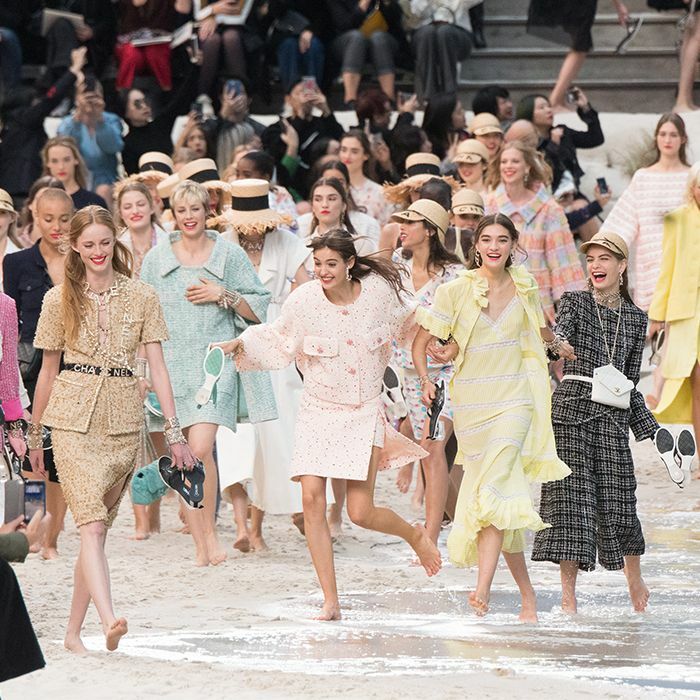 With the help of some impeccably dressed women, we've found the perfect outfit ideas. Not only will they make mornings less manic, but these top-and-trouser combinations will ensure you look chic whatever the occasion. Keep scrolling to see and shop our picks. Style Notes: We all know button-downs make for easy office attire, but wrap blouses look just as sleek. Pair it with a pair of tailored trousers, and finish with neutral accessories. 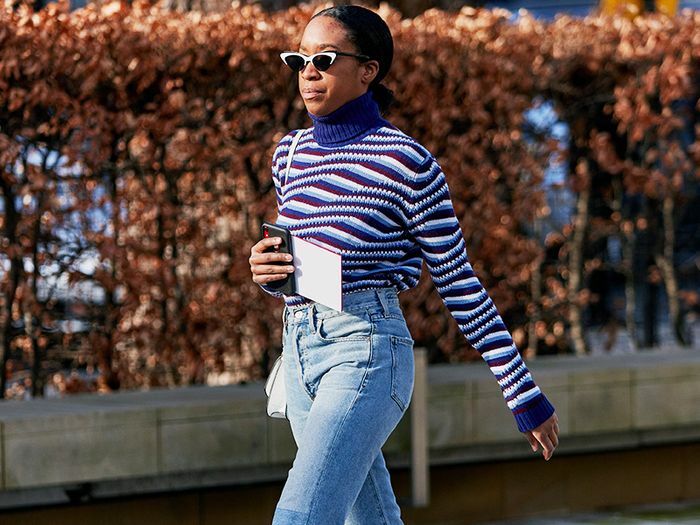 Style Notes: Okay, this look technically involves two tops but, as we've clocked countless influencers wearing their camisole over roll-necks, it had to make our edit. Pair the duo with kick-flare jeans and white boots for the ultimate in off-duty cool. Style Notes: Fancy pants are all over the high street, but if you're looking for a way to make them feel relevant post–party season, follow Alex Steadman's lead by styling them with a timeless camel jumper. Style Notes: Checked trousers have been the #1 stride for the last few seasons, and a cream pair is the ideal investment for spring/summer 2019. Wear yours with a utility shirt left undone for a stylish twist. Style Notes: After dark, you can always rely on animal-print trousers and a silk camisole. Pair with minimal accessories to keep the focus firmly on your statement strides. Found your dream top-and-trouser pairing? We've also got the perfect shoes to go with.